Posted 07/20/2016 by Andrea Rose & filed under Media Activism, Media Hall of Shame, Promoting Diversity & Ending Racism. To my disappointment, but not to my surprise, another white actress is playing an Asian character in a major Hollywood film. In April of this year, we got our first glimpse of Scarlett Johansson in costume for the upcoming movie, “Ghost in the Shell,” a film based on the popular Japanese manga series of the same name. Controversy over the questionable casting choice of Johansson as the lead character named Major Motoko Kusanagi has since died down. But flames have reignited since producer Steven Paul recently sat down with Buzzfeed and defended the decision to cast Johansson. 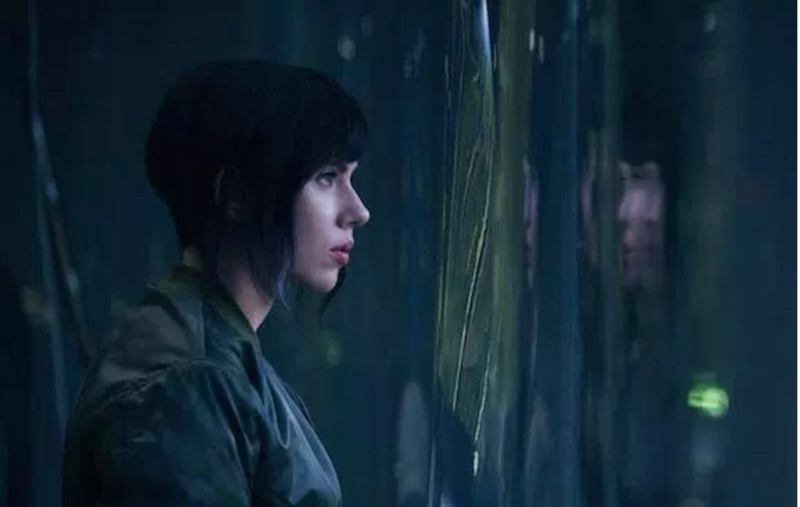 Paul also mentioned that Johansson’s character will not be referred to as Major Kusanagi, as according to the series, but instead will be known simply as “The Major.” It seems that rather than trying to pass Johansson off as Japanese, perhaps the production team intends to whitewash the character completely. As I mentioned, Ghost in the Shell’s casting choice may be disheartening, but not at all surprising. Most of the stories told in Hollywood are predictably cast with white people. Growing up, the only characters who even somewhat shared my dark hair and almond eyes were Trini Kwan, also known as the Yellow Ranger in 1990’s series, Mighty Morphin Power Rangers (an iconic show) and Mulan (an animated character, which should speak volumes). 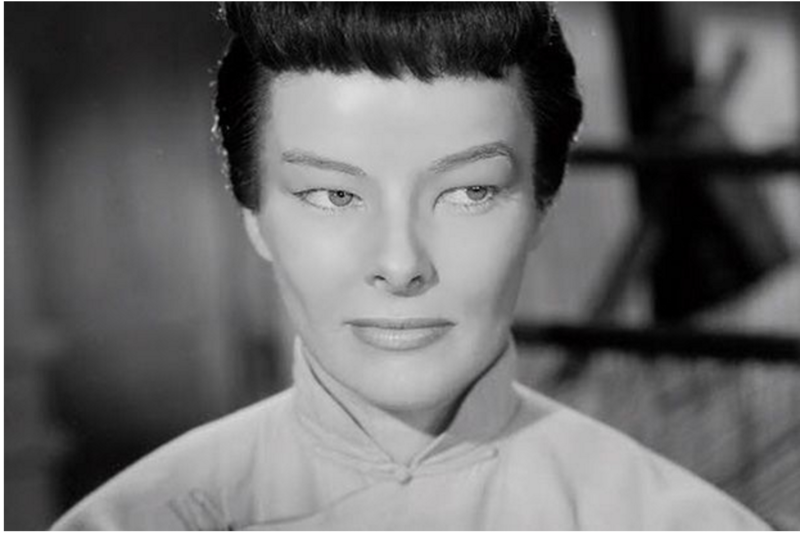 From “Dragon Seed” starring Katharine Hepburn and Katharine Hepburn’s taped eyelids to Mickey Rooney’s disgusting portrayal of a Japanese man in “Breakfast at Tiffany’s,” (offensive accent and all), this decades-long Hollywood trend ranges from casual whitewashing to full-blown yellow and brown-face. But white actors playing Asian characters are hardly a relic of the past. Just last year, Cameron Crow cast Emma Stone to star in the movie “Aloha” as Allison Ng, a woman of Hawaiian, Chinese, and Swedish descent. In April, Disney and Marvel Studios released a trailer for “Doctor Strange,” a new film based on the comic series. 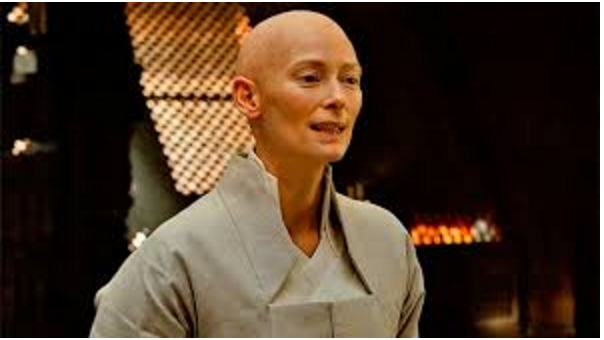 Disappointingly, the trailer featured a head-shaven Tilda Swinton as the “Ancient One,” a Tibetan mystic in the comic book. Of course, Asian-Americans are not the only demographic whitewashed out of Hollywood. Films such as “Pan” and “The Lone Ranger” replace Native American characters with white actors, and “Gods of Egypt” continues a similar tradition, removing Egyptians from nearly all of the lead and supporting roles. Then that brings us to “Ghost in the Shell,” a movie that becomes particularly frustrating not only because of the lack of representation, but because it completely erases the story’s origin. This series is not “international,” as producer Steven Paul suggested in his Buzzfeed interview; rather, it is a Japanese story, set in Japan, created by a Japanese writer. Interestingly, it’s not as though the erasure of Asian and other minority narratives goes unnoticed; would-be fans have shown their outrage through minimal ticket sales and public disapproval. However, the majority of Hollywood has yet to respond. Producers and directors commonly justify their casting choices of white actors in Asian roles by claiming there are not enough successful Asian actors to fit the part, an argument that is equally cynical and self-fulfilling. Unless Asian actors are cast in blockbuster roles, how will they have the opportunity to become bigger stars? Yet it seems that movie-makers would rather defend why an Asian character must be played by a white person than actually cast an Asian actor in a major role. This was the argument used by screenwriter Max Landis, who took to the internet to justify the “Ghost in the Shell” casting, citing that, “There are no A-list female Asian celebrities right now on an international level.” He then blew off audiences for “not understanding how the industry works.” Time and time again, directors and producers claim their casting choices are never determined by race, and that the only color they see in Hollywood is green. Indeed, when I hear arguments that Asian actors just don’t bring in the big bucks quite like white ones, all I hear is “Asian characters aren’t relatable.” The historic exotification of the Far East continues to this day, creating a culture where people of Asian descent are sometimes treated as the “other” in mainstream American culture. Many Americans of Asian descent will testify to sometimes feeling alien in their own country, treated more like Oriental vases as opposed to living human beings. And it’s why you will see plenty of on-screen depictions of Asian women as “exotic” or as “awkward foreigners,” but rarely as the “girl next door” (thank you to the “Mindy Project” and the short-lived “All-American Girl” for being some exceptions to the rule). If Asian cultures and faces are continuously obscured, they will never been seen as anything other than foreign, and thus will inevitably remain misunderstood. I am reminded of this whenever someone asks me, “What are you?” or tells me that, “All Asians look the same.” My younger brother, who like me is of half-Korean and half-white descent but shares far fewer Western features, is constantly mixed up with other Asian students at his majority-white high school (a school made up of many students who, although white, almost definitely never get mixed up with their Caucasian peers). Because of these biases in how people of minority ethnic groups are often perceived, representation in the mainstream media becomes that much more crucial in order to achieve an equitable and inclusive future. Flash forward to “Ghost in the Shell,” yet another movie once again telling Asian Americans that neither our faces nor our cultures are deserving of the the silver screen. For now, audiences at least have television series like “Fresh Off the Boat” and “Master of None,” but may otherwise have to turn to foreign films to find characters whom they resemble. However, audience members such as myself are hardly satisfied – in fact, we are far from it. Although “Ghost in the Shell” predictably chose a conventionally beautiful white woman to play a girl named Motoko Kusanagi, I am still disappointed, and will continue to be until Asian people – and all minority ethnic and racial groups – are no longer told that their stories are not relatable. Truer representations of minority groups benefit us all, and it’s about time that Hollywood responded accordingly. In this article, I utilize the word “Asian,” versus making distinctions between different ethnic groups across the continent of Asia. However, I’d like to mention that in our conversation of Asian representation in the media, it is important to consider the term “Asian,” a colonial label used to innacurately categorize 60 percent of the world’s population into a term grossly lacking in specificity or nuance. Although I do not unpack the qualifier, “Asian,” in this blog entry, (partially because the topic requires its own separate article entirely), I would like to highlight that to a lot of people, the term “Asian” signifies people from East Asia. Many have come to believe that the face of Asia is pale and topped with pin-straight, black hair. However this belief ignores the narratives and cultures of those hailing from Southeast Asia, India, and beyond. Therefore, we cannot talk about Asian people without also challenging rigid definitions of Asian identity.